Jo-Wilfried Tsonga and Tomas Berdych had to go the distance in their Open Sud de France quarter-finals, but in the end their experience took them over the line. In an all-French battle, Tsonga required two hours and 46 minutes to hold off sixth seed Jeremy Chardy as he secured a 6-7 (6-8), 7-6 (7-4), 6-4 victory. Jo is on the go in Montpellier! 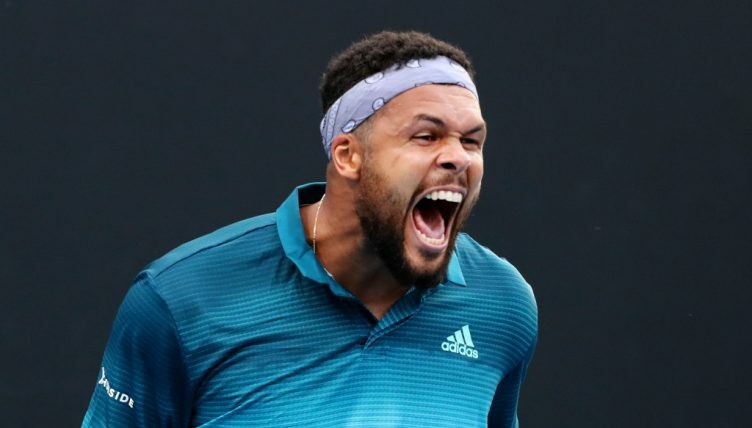 After no breaks of serve in the opening two sets, the 33-year-old Tsonga claimed the only break of the match in the final game of the deciding set, sealing the deal on his fourth match point. “Today was a tough match, really tight. We had to play two tie-breaks in the first two sets and then I came back strong in the third,” the Frenchman said. He will take on Moldova’s Radu Albot for a place in the final after the world No 90 beat Cypriot qualifier Marcos Baghdatis 6-2, 7-6 (7-2). Former Montpellier champion Berdych, meanwhile, saved two match points during his 7-6 (7-3), 6-7 (5-7), 7-5 marathon win over Filip Krajinovic. After losing his serve in the opening game of the decider, Berdych found himself up against it in game nine and had to save two match points, but he won the final four games to reach the semi-final. He will face Pierre-Hugues Herbert in the last four after the seventh-seeded Frenchman upset third seed Denis Shapovalov 7-5, 7-6 (7-4).